Known as the home of the Alamo, San Antonio radiates with history and culture. This city will provide an insightful and entertaining trip for students from all over the country. From the first mission settlements to the relaxing River Walk, your student travel group will have much to enjoy in San Antonio. San Antonio is steeped in Latino culture and architecture. 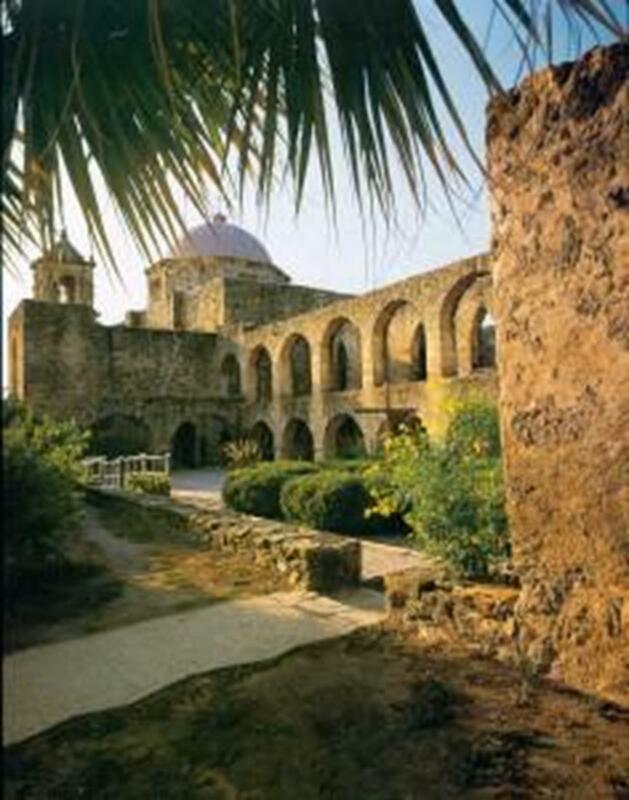 In fact, the city has the largest concentration of old Spanish missions in the United States. The first stop on your student tour is, of course, The Alamo, the first and most famous mission established in San Antonio. But don’t limit yourself—there are four other missions that are just as impressive. According to Eva Aivaliotis, senior communications assistant for the San Antonio Convention and Visitors Bureau, one of the best ways for student tours to see the missions is to rent bikes from Blue Star Bike Shop in Southtown. Prices are reasonable, and your group can pedal its way along the scenic six-mile path to the missions. Once you return from your historical adventure, take your student tour over to the River Walk for a taste of modern, cosmopolitan San Antonio. Not only does this scenic stretch of the river provide student travel groups with shopping and dining, it also displays some of the best art in the city, with sculptures and murals lining the River Walk for everyone to enjoy. Another attraction where student tours can get a glimpse of local art is Brackenridge Park. The Marion Koogler McNay Art Museum was the first museum of modern art in Texas and still boasts some of the most innovative work. School trips can partake in the museum’s education programs, touring the exhibits and the contemporary sculpture garden. For an educational student travel experience, take your group to the Witte Museum, San Antonio’s go-to location for South Texas history and science. The Witte has everything from historic photographs and dinosaur bones, to wildlife dioramas and circus artifacts. Your school trip can get a taste of the Old West at the Buckhorn Museum and Texas Ranger Museum. The Buckhorn houses over 520 species of wildlife, while the Texas Ranger showcases artifacts like shotguns, badges and revolvers. 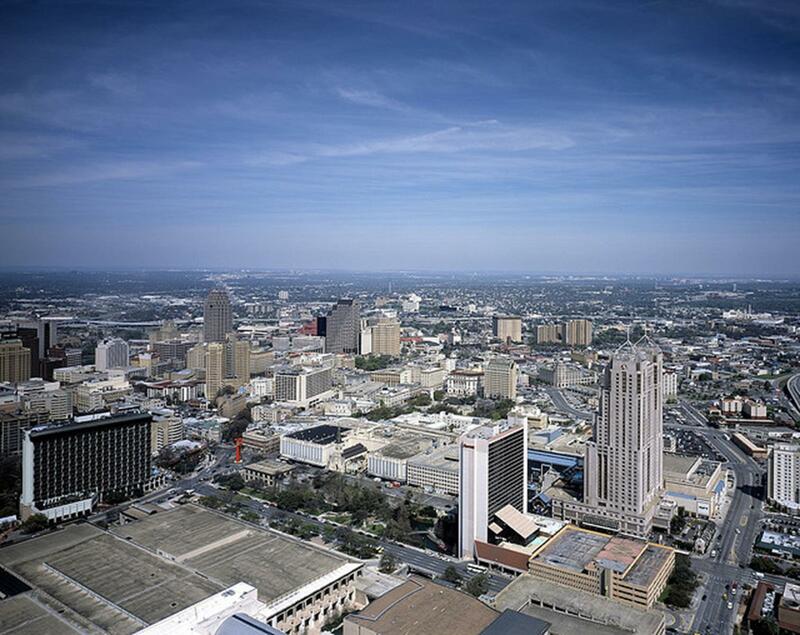 San Antonio is a beautiful city, and the best place to see the city sprawl is from the Tower of the Americas, a 750-foot structure located in HemisFair Park. Student tours can head up to the observation deck for an unobstructed view of the city. 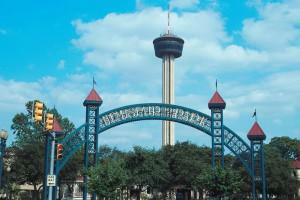 Two commercial attractions for youth travelers are Six Flags Fiesta Texas and SeaWorld San Antonio. These parks offer student tour groups with exciting activities, including Outdoor Classroom Days at Six Flags and a variety of guided tours at SeaWorld. 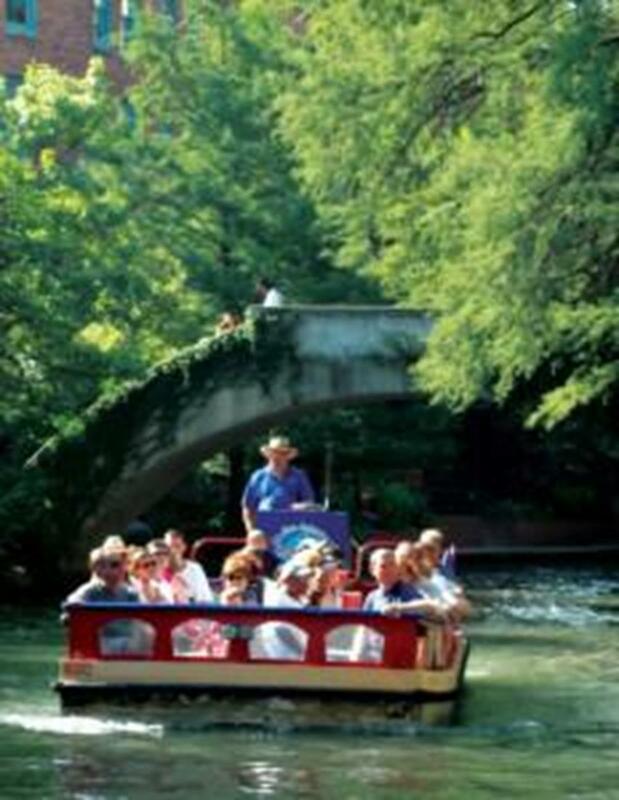 A cruise along the river is a great way to learn about San Antonio. Rio San Antonio Cruises offers narrated 30-minute tours educating school trips about the rich history of the river. To see more of the city, try Alamo Trolley, a guided one-hour tour that takes student travel groups through San Antonio, covering all the major attractions. Alamo Battlefield Tours has guides dressed in authentic 1836 period costumes, carrying replica weapons from the famous battle of the Alamo. This tour will give your school trip a detailed background of the compound and the famous battle that took place there. Student travel programs can put on performances throughout San Antonio for little to no cost. The Alamo Plaza and Gazebo are two free venues where many groups have performed. This location is ideal due to the heavy flow of tourist traffic in and out of the historic site. HemisFair Park has two small gazebos, a plaza and four open space venues that can be rented for concerts. La Villita-Arneson River Theatre has a stage that is free to rent for one-hour performances during the day. Historic Market Square not only draws locals and tourists with its thriving public markets, but it also puts on events and shows on its three stages. School trips can also rent small, open spaces for no charge at Rivercenter Mall Lagoon, North Star Mall and The Shops at La Cantera. San Antonio is one of the best places to dive into some authentic Tex-Mex food. The River Walk is where you’ll find plenty of local bistros and pubs, including Rio Rio Cantina, a vibrant Mexican restaurant that serves large portions for grumbling stomachs. Arguably the best barbecue in the city can be found at County Line, also on the River Walk. A true San Antonio staple is the tamale. Your student tour should not miss out on tasting one of these while in town, so take them to Mi Tierra, where they can devour these corn-husked treats while listening to mariachis. Before leaving this family-owned establishment, make sure your crew also gets to sample pan de dulce, a sweet bread that varies in form, taste and color depending on where you buy it. With nearly 300 hotels, San Antonio has a lot of places for student accommodations, and some of the best prices your group will find are located near Six Flags and SeaWorld, which are a few miles outside downtown. However, there are decently priced options near the city, such as Alamo/Riverwalk-Days Inn and Best Western Alamo Suites Downtown. Both provide quality service and free breakfast for your student tour. 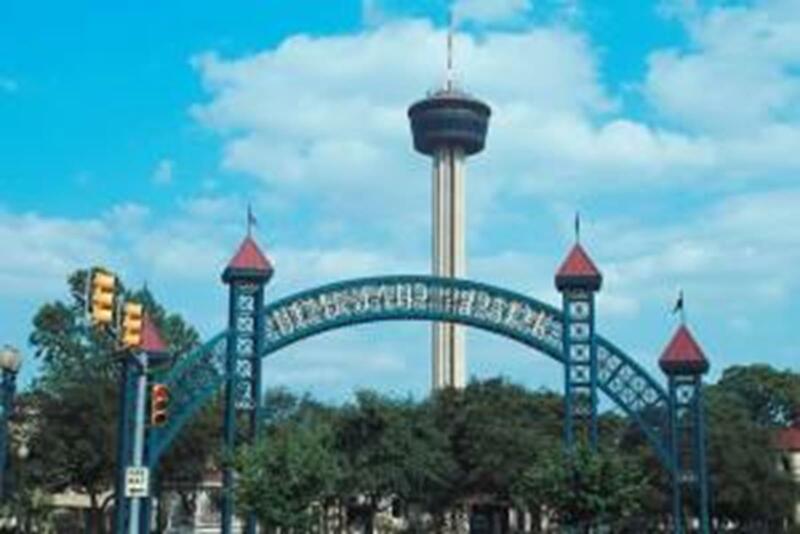 Plus, they are within walking distance of some of San Antonio’s best attractions. San Antonio is an ideal city for a student trip. Not only does it offer learning experiences through its history, but it also thrives with modern culture. Student travel groups will have plenty to explore in the Alamo City.